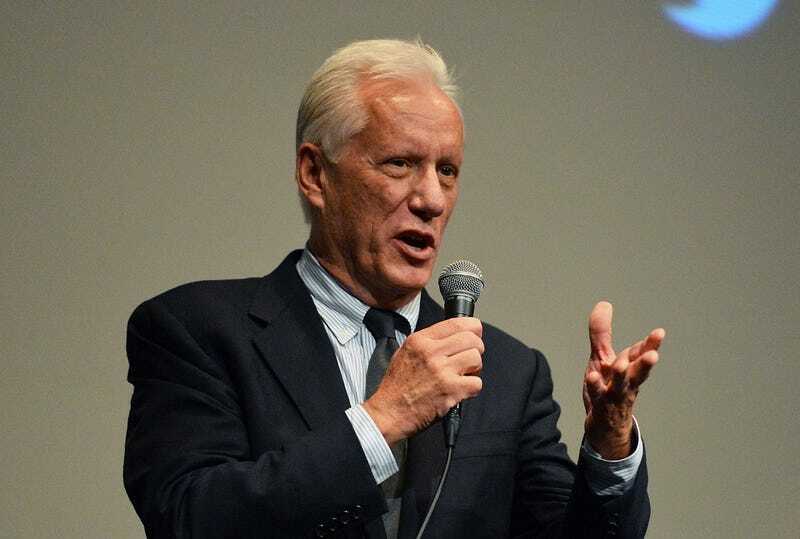 James Woods has become a hero of the so-called alt-right on Twitter. But the actor, perhaps best known as winner of the 2000 “Role Model Award” at the Young Hollywood Awards, has decided to quit the social media service. Why? He’s upset that Twitter has banned some alt-right accounts. Which is pretty rich, given the fact that Woods recently sued a Twitter user who called him a coke addict. “Since Twitter is now in the #censorship business, I will no longer use its service for my constitutional right to free speech. #GoodbyeAll,” Woods tweeted last night, apparently confused about the fact that free speech laws don’t apply to private companies that run services like Twitter. Woods raised a few eyebrows last year when he sued a semi-anonymous Twitter user who had accused him of being a “cocaine addict.” Woods, whose performance in the 2003 TV movie Rudy: The Rudy Giuliani Story has been described as “I bought this DVD thinking it would be about football. It’s not,” didn’t get to meet his Twitter troll in court. The man he sued for libel recently died of unknown causes. Woods later tweeted that he hoped the semi-anonymous Twitter user died while screaming his name and that the man was “slime.” The dead man’s lawyers have continued to fight to keep his identity private citing threats to his family. Many Twitter users who claim that they’re quitting the service often come back—especially if, like Woods, they have been using the social media platform for years. But we’ll take Woods at his word. Woods, who shot to fame after appearing in the 1989 documentary Hollywood on Horses about famous movie horses, could not immediately be reached for comment.